OMICS International through its Open Access Initiative is committed to make genuine and reliable contributions to the scientific community. OMICS International hosts over 700 leading-edge peer-reviewed Open Access Journals and organizes over 1000+ International Conferences annually all over the world. 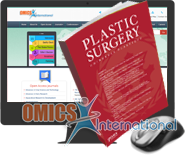 OMICS International journals have over 3 million readers and the fame and success of the same can be attributed to the strong editorial board which contains over 50000 eminent personalities that ensure a rapid, quality and quick review process. OMICS International signed an agreement with more than 1000 International Societies to make healthcare information Open Access. OMICS International Conferences make the perfect platform for global networking as it brings together renowned speakers and scientists across the globe to a most exciting and memorable scientific event filled with much enlightening interactive sessions, world class exhibitions and poster presentations. I highly recommend publication in the Journal of Obesity and Weight Loss Therapy. The entire submission, review and publication process for the journal are easy and quick. The reviews are very professional and helpful.